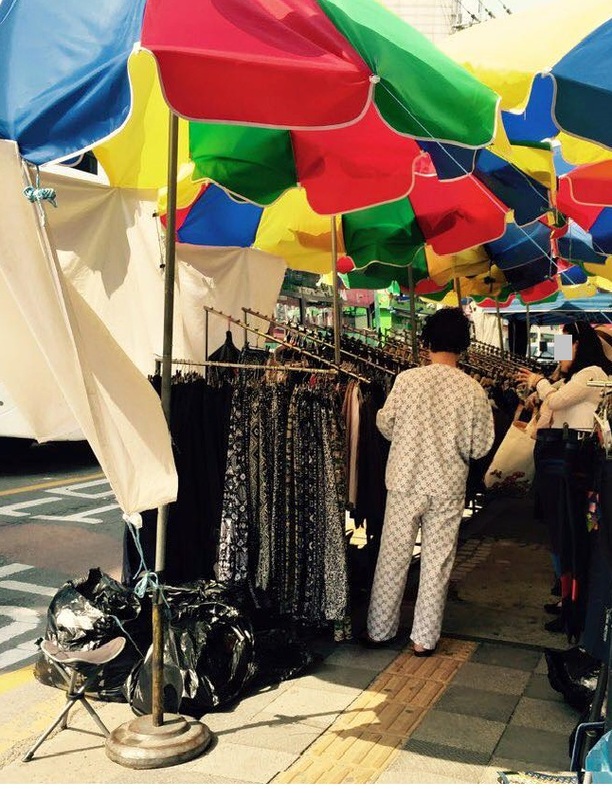 Clad in their hospital gowns, they can be seen moseying through the busy streets on Market Day, dining in a crowded restaurant or drinking in a 호프 (hof or bar) with friends, sometimes dragging their IV stands as if they are carrying a Prada bag with pride. It is easy to spot them at the public parking garage or on a bench outside the hospital, smoking and chinwaging with other smokers, not giving a damn about other patients who went out of their room to get some fresh air. I call them THE FUGITIVES. You see, patients normally stay IN THE HOSPITAL and are allowed to go out as long as they are on the premises of the hospital where they are being cared for, but these patients I call fugitives are always itching to leave the hospital grounds. They don’t just leave; they paint the town red, more like they are on a hospital-holiday spree. My husband was one of these fugitives. When he was confined for more than a month, he would escape from the hospital and spend the entire day at home. At first, I thought that he just missed me, so he kept coming to the house, but he would either be playing computer games or curl up on the sofa and watch TV for hours. At times, he would play pool with his buddies… in his hospital gown! Oh, and yes, he did the most dreadful thing a fugitive can do when he was admitted to the hospital for a minor accident… leave the hospital late at night to drink in a bar! He even attended a wedding a few hours away from the hospital! Good thing he traded his stylish hospital gown for a suit that day. Hospital gown, check! IV, check! Fugitives are everywhere in Korea, and people who see them don’t seem to mind. I understand, hospitals can be boring… but wandering around town with your IV or drinking alcohol outside when you are being treated and cared for? C’mon! I remember when my husband had a surgery in the Philippines, and he was confined for a week. He called the hospital a prison, the doctors the prison wardens. He couldn’t leave his room even when he could walk. He wasn’t allowed to smoke outside. The doctors kept reminding him to refrain from smoking and quit drinking, as his condition was alcohol-related. When he had another surgery in Korea, none of his doctors told him to cut down smoking and stop drinking. 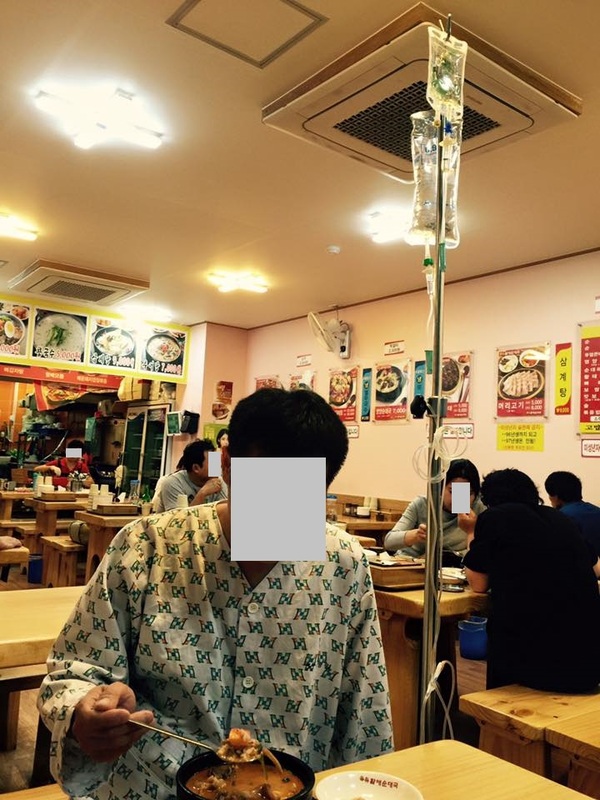 He said that Koreans don’t like being told what to do, even by doctors… unless it’s a matter of life and death. Could this be the reason why doctors in Korea are reluctant to tell their patients the do’s and dont’s? Could this be why the fugitives behave the way they do and get away with it? Well, there is no harm in enjoying a typical day outside even when you are sick, but should you really be wandering around town with that IV drip? Could this “don’t-tell-me-what-to-do” mentality be the reason why a MERS-infectee from Korea flew out of the country on a business trip to China despite being advised by his doctor to wait and see if he was disease-free, thus causing panic among Chinese citizens? Could this be the mentality that drove two Korean doctors under MERS quarantine to push through with their holiday trip to the Philippines without considering the possibility of spreading the virus if they were indeed infected? 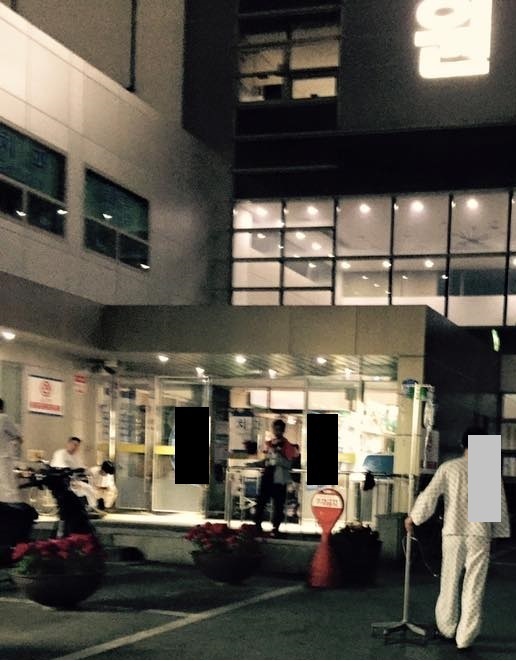 Could this mentality be the reason why seeing an in-patient drinking in a bar or a hof like there is no tomorrow does not shock Koreans anymore, and not even one hospital staff would bother to remind patients who smoke at the entrance of a hospital that sharing their toxic smoke with visitors and other patients is illegal? Korea has imposed smoking bans in public places since 2013, including hospitals, but I guess the fugitives pictured below didn’t get a memo… or perhaps they just lack common sense and regard for others. Having been married to a Korean for 4 years gives me the opportunity to develop my understanding about the Korean culture. Learning how to speak Korean fluently can be challenging and frustrating at the same time. I don’t know why I find it difficult to master the Korean language. When I decided to move to Korea with my husband and our 2-year-old son, I have accepted the fact that whether I like it or not, I have to learn the language in order for me to communicate well with other Koreans especially with my in-laws who couldn’t speak and understand English. When we arrived in South Korea on April 2, 2015, we stayed at my parents-in-law’s residence in Uiryeong County, Gyeongsangnamdo for 3 months. I’ve learned some Korean phrases/expressions just by listening to their daily conversation. The other night, I was asking my husband if he remembers “our song”. He said he remembers it, but he doesn’t know the lyrics, so I sang it to him. When I was singing the chorus, he remembered some lines and sang some parts, though most of the time he was humming. We were singing “our song” in the car, sometimes chuckling when one of us was out of tune.